Medalla Light is one of the most popular beers in Puerto Rico. My parents brought this back from their trip to Puerto Rico. 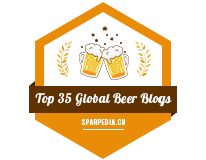 Of course, they only tend to drink bad beer, so of course, this will be a bad beer review.. which brings out my crankiness! 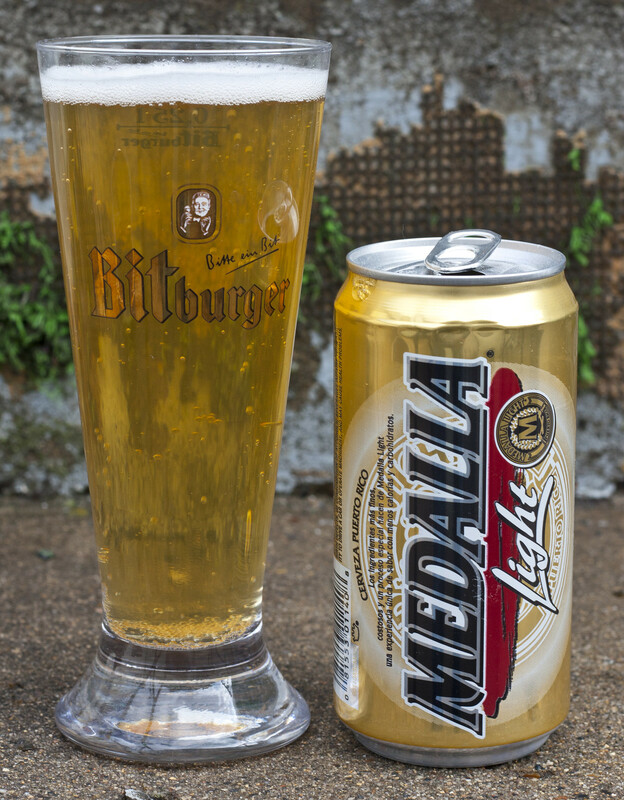 Medalla Light is brewed by Compañía Cervecera de Puerto Rico in Mayagûez, Puerto Rico. It comes in a 10oz can (295mL) and has "Alcohol by volume over 4% but not over 6%", so it's a light beer, not incredibly light.. apparently. Appearance: Pours a very clear pale light golden yellow, lighter than straw. Head is minimal, snow white foam. Aroma: Kind of strange as it is incredibly malty, nearly smells like watered down rye and coke to me, very sweet, not very appetizing, bitter. Taste: Quite malty, like malty water more than anything. A bit carbonated on the tongue, a bit of straw, a bit sweet, a bit tinny from the aluminum can, but most part malty water. Quite bitter, quite corny, quite lacklustre. 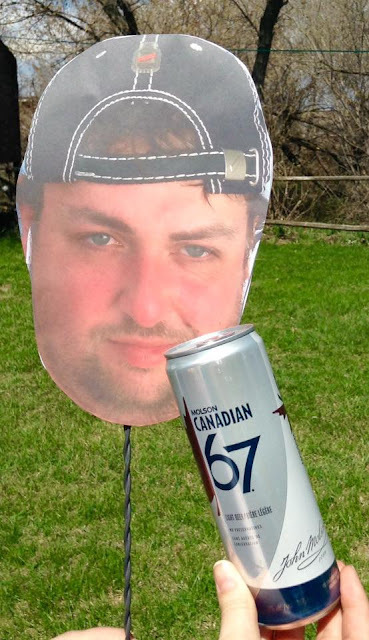 This is your standard American style light beer, but more malty. Overall Thoughts: Blech, overly malty, corn, tastes like malty corn water more than anything, a bit too carbonated on the tongue, will not drink this again. My parents love this beer but I just can't enjoy it. At 295ish ml, at least there's not THAT much of it to drink. Fail. Compare to Coors light, it is a better beers by far.